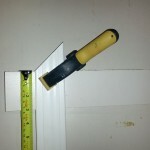 I thought I’d share a trick I often use for making inside measurements when working with trim or any other angled cuts. 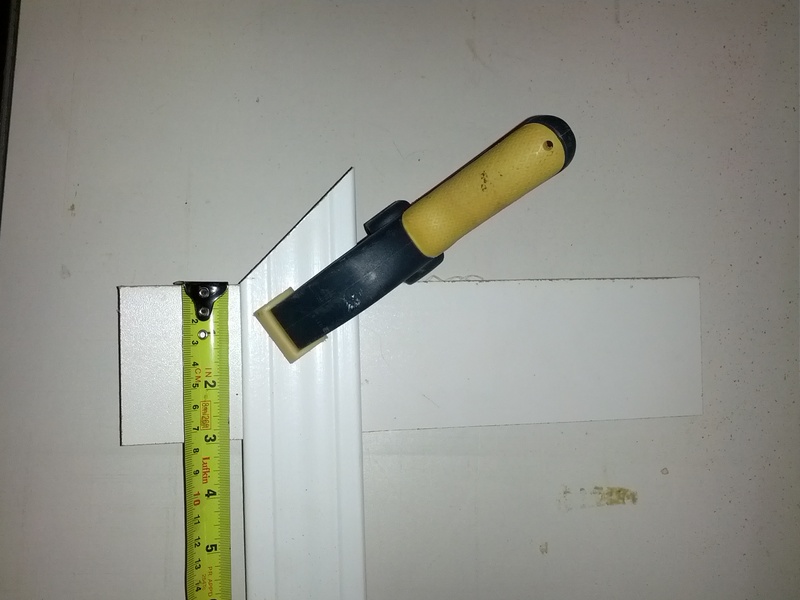 I simple clamp a think piece of wood or a small square that is aligned to the inside edge and use that as a measuring point. This is much easier than fooling around with trying to hold the tape against an inside edge, which often requires a second person to hold it on a longer piece of wood. 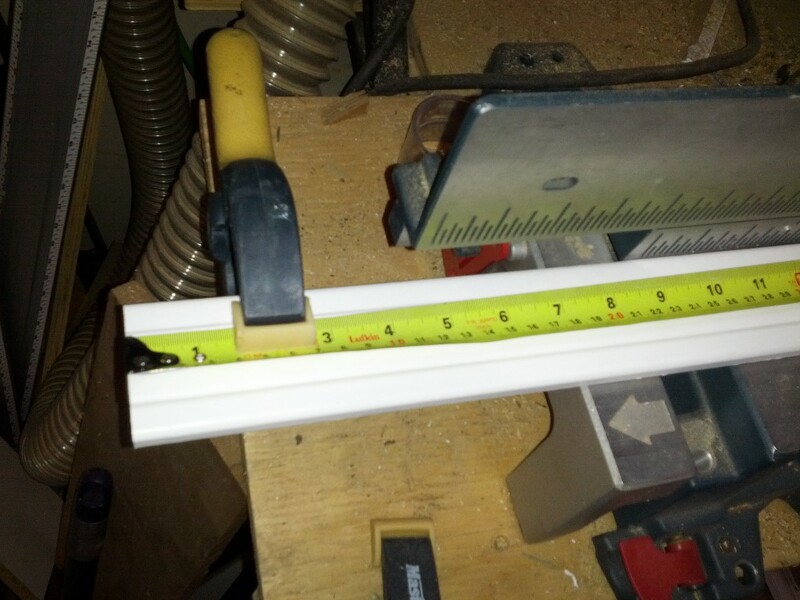 I also use a clamp to hold the measuring tape for longer pieces of wood and always have one close to my miter saw. With the newer laser lines I often don’t mark the wood and simple clamp the tape, find the cut point with the laser, move the tape out of the way, and make the cut. A clamp also works very well to hold multiple pieces of wood flush at the end when gang cutting.